These are the BEST Turkey Meatballs ever! An easy homemade meatball recipe, they’re always juicy and perfect. 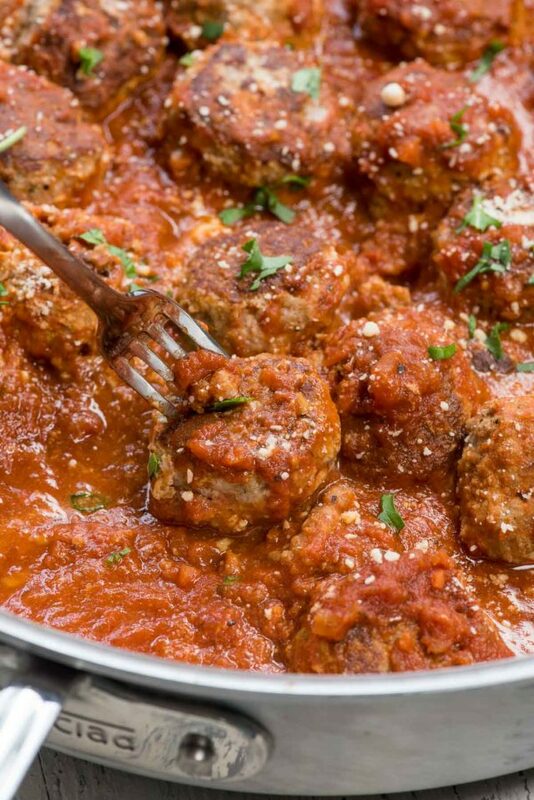 You can make these meatballs in sauce or in the oven. No matter what, they’re great on pasta or just by themselves. If you hurry, you can probably make these for dinner tonight. I’m really trying to bring you more dinner recipes. Are you enjoying them? So far, most of the meals I’ve shared are family recipes; ones that are tried and true and we’ve been eating for years. 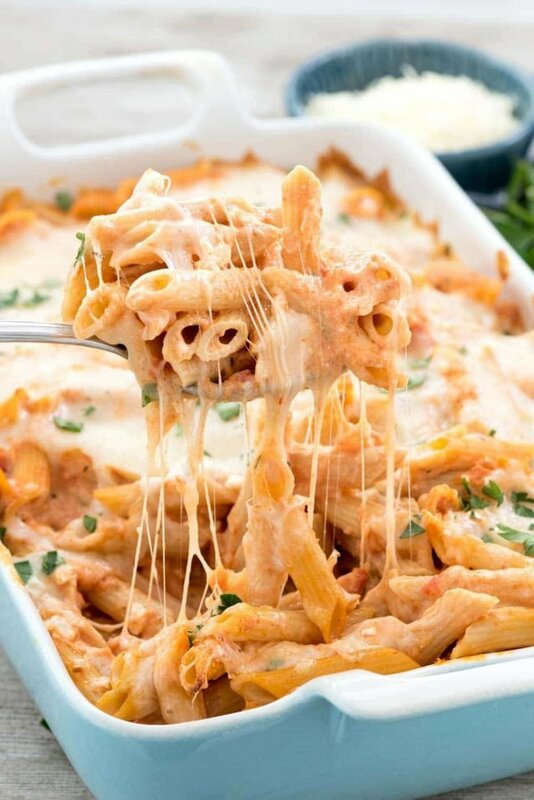 My pizza crust and pizza sauce, penne pasta, and macaroni and cheese. Those are all regular recipes in my dinner rotation and have been for 10+ years. Another recipe I’ve been making forever that I couldn’t wait to share: Turkey Meatballs! Meatballs are a staple in my house. Whether I’m pulling them from the freezer (to make subs) or making them from scratch, we have them at least once a month. 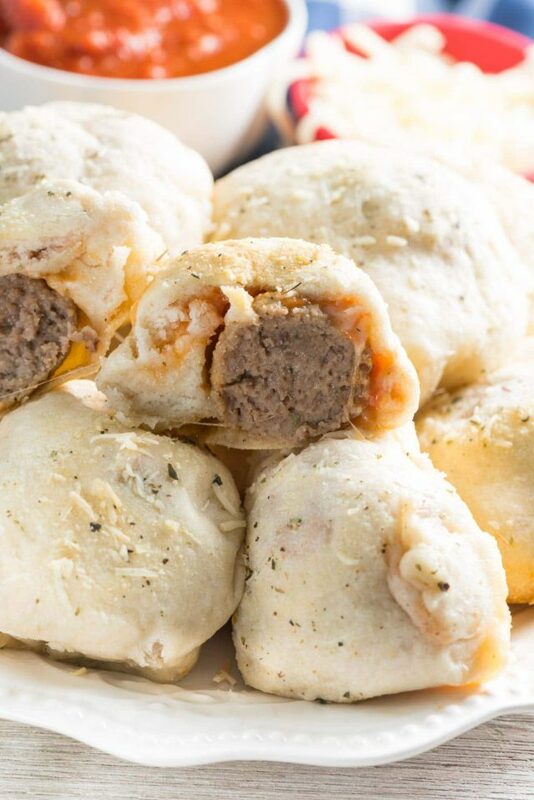 While I love a good frozen meatball, my favorite ones are made from scratch. I like to make a double batch and bake these meatballs to freeze; that way I can have a quick lunch or dinner anytime. On weekends when I do my big batch cooking, I always lend towards Italian: pasta, sauce, and meatballs. My mom is Italian and even though we never had those huge Sunday-Sauce dinners, I think I inherited them by osmosis. Regular homemade meatballs are made with beef and/or pork, but I like to use turkey. We try to limit the amount of red meat we eat (if I’m going red I’m gonna eat steak) so I invest in lots of ground turkey every time I go to Sam’s or Costco. At any given time I have several pounds of frozen ground turkey meat in my freezer, perfect for tacos, burgers, or meatballs. Turkey meatballs are an easy dinner recipe, either baked or made in sauce! When I first started making my own turkey meatballs and burgers, they’d often turn out dry. Then I started watching Food Network and reading cookbooks from Rachael Ray and Giada and I discovered the keys to making ground turkey not only flavorful but also juicy and perfect every single time. It took me a few tries to perfect this turkey meatball recipe a few years back, but I’ve been making them ever since. I kind of married the tips from watching old episodes of 30 minute Meals and reading Giada’s book, Everyday Italian. That’s how these meatballs were born. Grate your onion. Grated onion creates a thick and pulpy onion “juice” that keeps ground turkey moist. Use parmesan cheese and breadcrumbs instead of just the breadcrumbs. 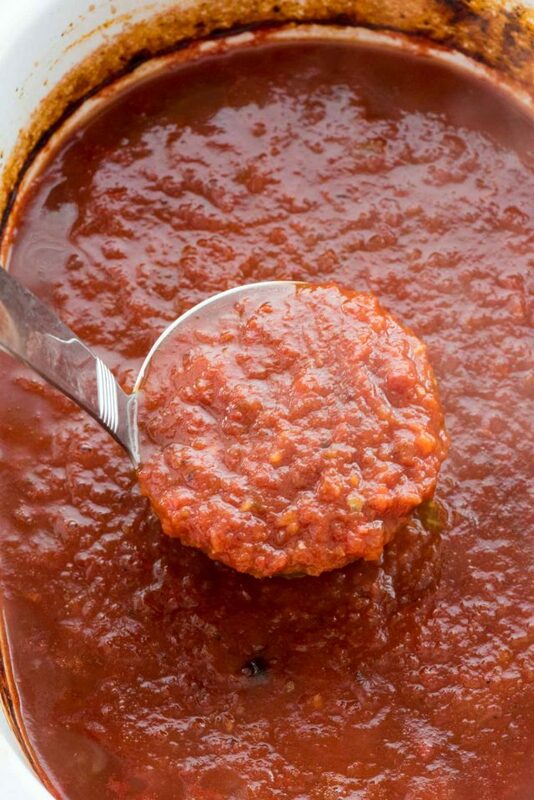 This helps bind the meatballs and adds tons of flavor. Add a dash of Worcestershire sauce adds a ton of meaty and earthy flavor that a lot of people miss when they use turkey instead of beef. Don’t work the mixture too much. Too much mixture can make meatballs tough. Add several cups of tomato sauce to the pan, cover, and cook until the meatballs are done. Place the browned meatballs on a baking sheet and bake in the oven until done. Serve as an appetizer, or on top of pasta, or freeze for another meal. Not only do we serve these for dinner regularly, but I also reheat them for lunch to go with salads, I serve them plain with roasted vegetables, and I like to serve them with a dipping sauce as an appetizer. Turkey meatballs are such a versatile recipe and great for any meal or occasion! These easy turkey meatballs are a family favorite and regular dinner in our house! Place egg, parmesan, breadcrumbs, garlic, seasoning, Worcestershire, salt, and pepper in a large bowl. Finely grate the onion into the mixture. Stir it together until it forms a thick paste. Add the turkey to the bowl and work the mixture together gently. You don’t want to over mix the meatball mixture, but make sure that the turkey and seasonings are all mixed through. Heat a large skillet over medium high heat. Add the oil to the pan and let it heat through. Scoop desired size meatballs in uniform size. Place meatballs into the hot pan. Once you put them down, don’t move them. Oven: preheat oven to 350°F. Transfer the meatballs to a baking sheet and bake until cooked through and the internal temperature is 165°F (about 10-15 minutes). Stovetop: Add marinara sauce to the pan and stir carefully to coat the meatballs. Turn heat to medium, cover the pan and cook, stirring occasionally, until cooked through and the internal temperature is 165°F (about 10-15 minutes). I absolutely love all meatballs. I can never get enough of them! 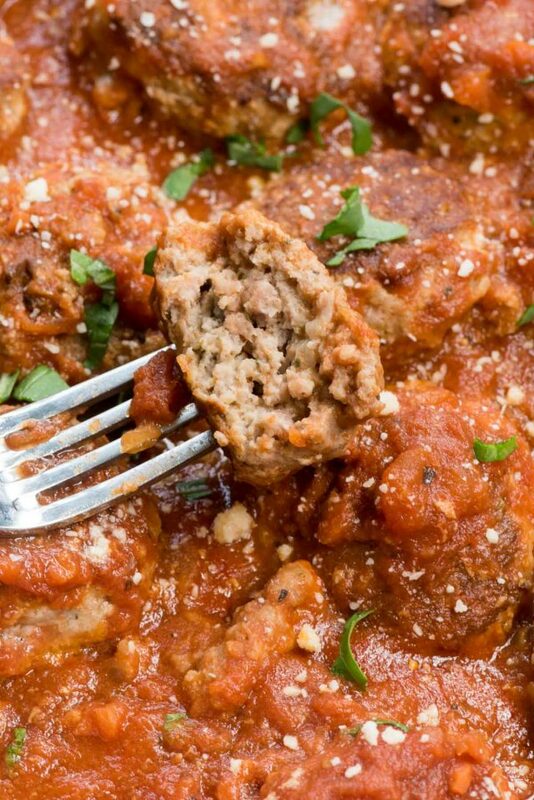 My friend Lisa has an amazing turkey meatball made with sausage that’s my other go-to recipe. I also love using meatballs in soup and making crockpot meatballs too! I *love* turkey meatballs! Sometimes even better than beef / pork meatballs, just the flavor is so different (in a good way). These look awesome! 30 minute Meals and Everyday Italian were shows I used to LOVE watching. I feel like I ran out of time for them these days though. Too many other things to do like FB scheduling lol. But those shows have some really good tips and nuggets of great info if you watch regularly. 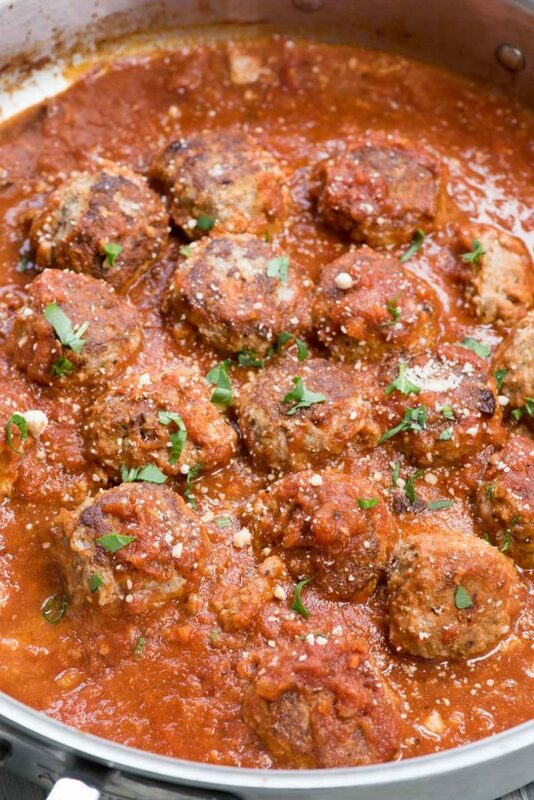 Your meatballs look perfect! Yum, these sound great and less fat! hey girl- these meatballs look so good! Ya’ll have a great weekend!